In mid-February 1916, coincident with Maxim’s second article on relaying, one of the first organized relay tests was run. With everyone sharing very little spectrum, cooperation was the only way to avoid QRM (a constant fact of life at the time) and hear weak, distant signals. In a rare cooperative operation between an amateur group and the government, a relay test was conducted on Washington’s Birthday by Colonel W. P. Nicholson, 9XE at the Rock Island Arsenal in Illinois, and included many other stations.1 Its straightforward goal was, “… to show the United States Government that the amateurs of the United States were in a position to co-operate in radio work,” by relaying a single message across the country and delivering it to various state governors and city mayors. Relay stations’ locations and approximate ranges were plotted on a map and covered most of the US except for some of the western desert areas. On 18 February, as the time for the first test approached, QRN at 9XE was the worst in recent memory—surprising considering the season. Besides the static, 9XE reported being bombarded at the start by requests from the press (including the Associated Press) for copies of the message—which he refused to provide until after it was sent. At 11:00 that night the test began and, “every amateur in the country was quiet—truly a remarkable thing,” he observed. A democracy requires that a people who govern and educate themselves should be so armed and disciplined that they can protect themselves. ( Signed ) Colonel Nicholson, U. S. A. A group of Boy Scouts helps 3XC receive the Rock Island Test message in Philadelphia. The Washington’s Birthday or Rock Island Test was judged a success despite numerous errors in relaying, particularly the spelling of the Colonel’s name. The message reached the west coast in 55 minutes, the east coast 5 minutes after that, and sooner at various points north and south. Amateurs had “bounded the United States in one hour” that night—an impressive accomplishment. 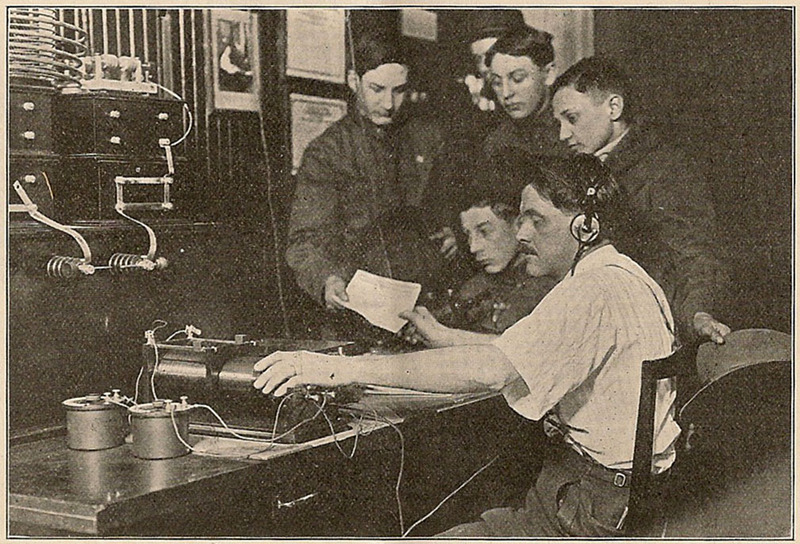 The New York Times reported that the message had been received in Williamsburg, Brooklyn by A. R. Boedar at 1:30 a.m. and would be delivered to the Mayor.2 The exercise, it said, had tested “the preparedness and skill of the 25,000 licensed amateur wireless operators.” They were only off by a factor of five. 9XE’s account in QST included a collection of reports contributed by participants, some illustrated with small cartoon drawings. Amateurs reported delivering the message to their state governors, some of whom were awakened at 2:00 a.m. to receive it—such was the importance of the message and the test. One operator in Washington D.C. had delivered it personally, written on an ARRL message form, to the White House. Maxim’s Star Stations, those capable of working 100 miles or more, began to surface along with a large group of regulars. By April the first trunk line managers had been announced, simultaneously spanning the continent and the generations.3 Arthur A. Hebert, 2ZH, a 42-year-old steel industry engineer in Nutley, NJ was appointed manager for lines C and D, the two east coast branches. And 19-year-old R. H. G. Mathews, 9IK of Chicago, would manage line A, spanning the northern route linking Boston, through Chicago to Seattle, and line E running from Chicago via Houston to Los Angeles. 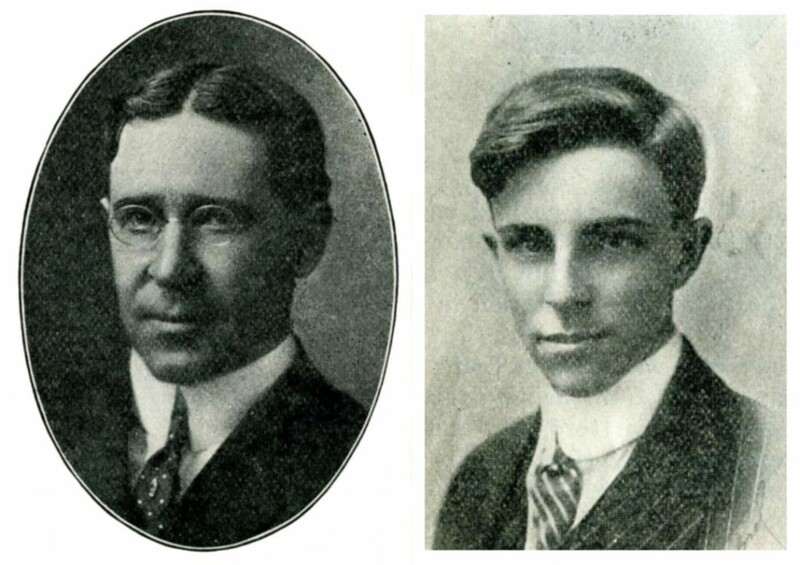 Both men would go on to serve in leadership positions in the ARRL, and one to start a famous radio company. Monday and Thursday nights were designated for trunk line tests and results were to be reported to HQ. The first results of trunk line operation were reported in May in the form of station lists in order of connection, noting where there were gaps and asking for volunteers to fill them.4 By August the east coast lines were complete. The persistent QRM problem led one participant to suggest that the lines ought not to be structured around cities but around the locations of the best stations. That might result in more reliable critical links and would avoid the QRM of the most populated areas.